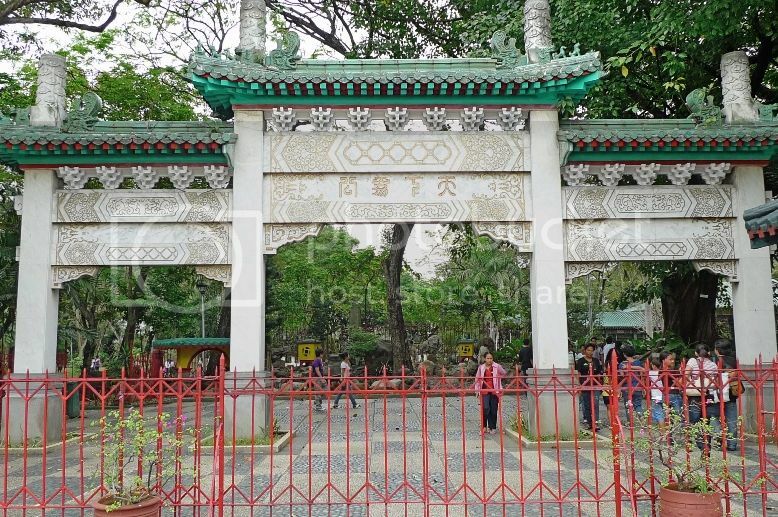 My Very First Blog: Farewell To Rizal Park, Wham! Burger And Manila! This is my last post on my Manila trip in January 2011. Can you believe I am actually feeling sad about it being the last post? I guess I have enjoyed blogging about the trip as much as I have enjoyed visiting Manila! On my second last day (5th day) in Manila, I met up with Ishmael Ahab, my good blogger friend who stays there. He brought me to a buffet lunch at Kamayan which I blogged about HERE. After lunch, we went to Rizal Park nearby. 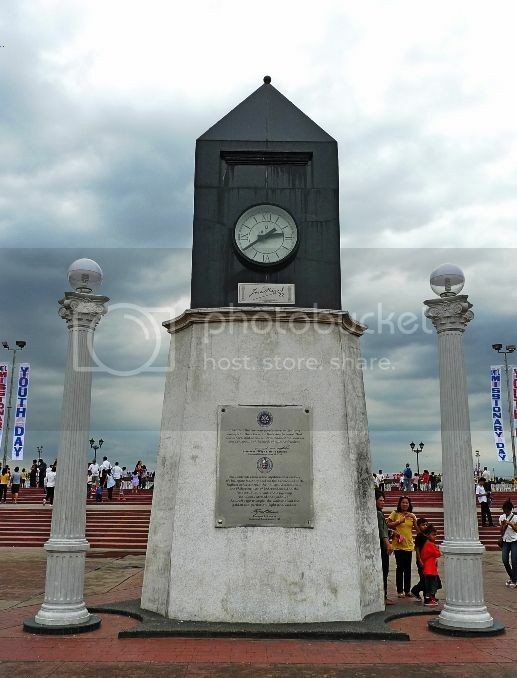 This is the park where José Rizal was executed and became a martyr and national hero of Philippines. 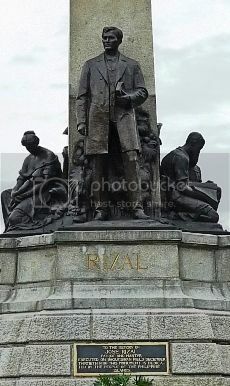 You can read more about Rizal Park HERE. 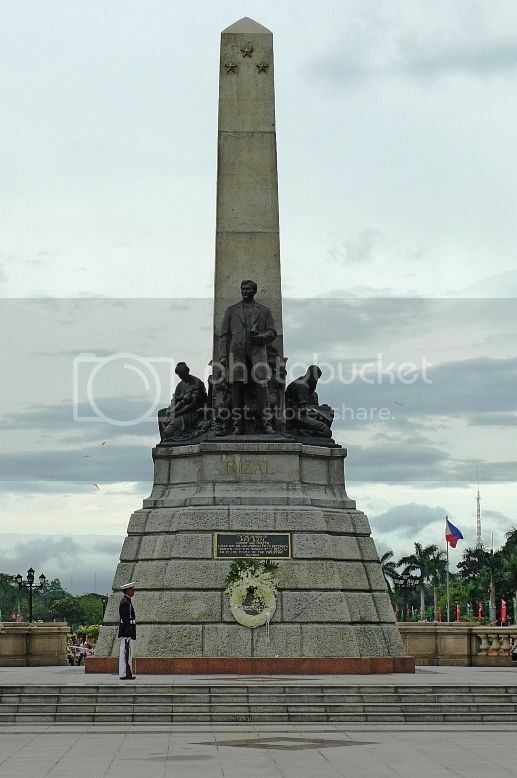 I took a picture of the Rizal Monument, where the statue of José Rizal and his remains were located. You might be interested to read about my visit to the Rizal Shrine in Fort Santiago HERE if you haven't already. It was a nice pleasant Sunday afternoon and I remember telling Ishmael that the weather was perfect for strolling around the park. There is a Chinese Garden here but we did not enter. I guess I was more excited about going to eat balut at Quiapo! Haha! 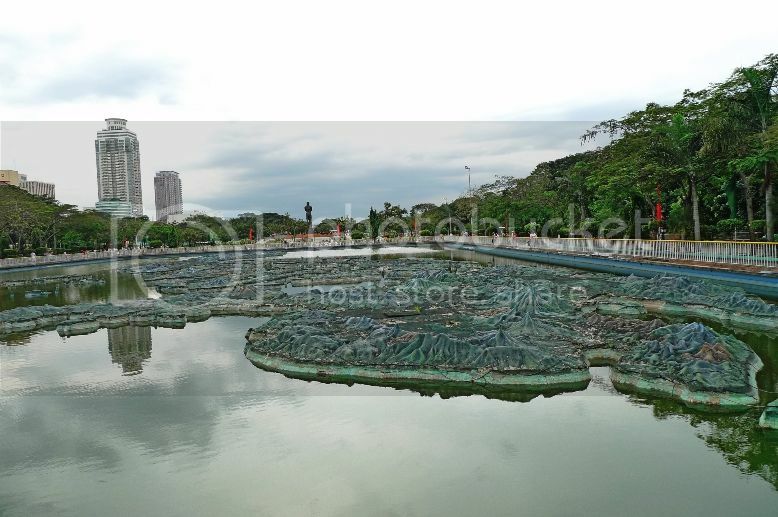 The park also has a man-made lake with a relief map of the Philippine archipelago in the middle. Unfortunately, I could not see the map very clearly from this spot. 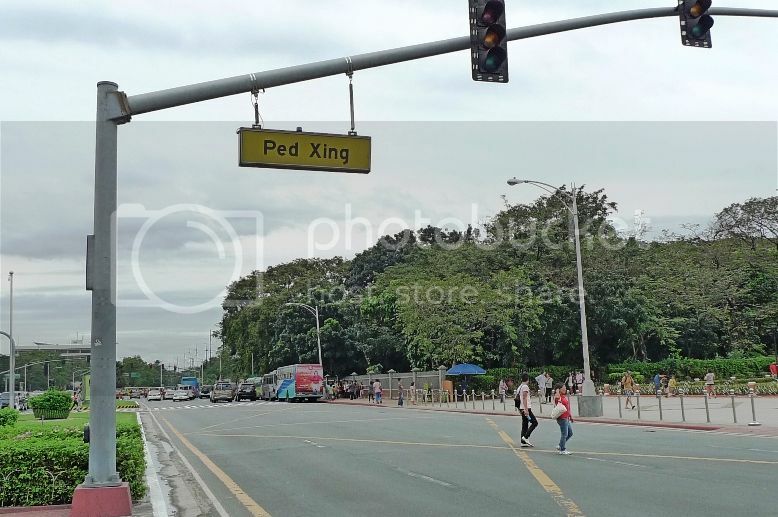 We also crossed the Roxas Boulevard road to visit the Quirino Grandstand opposite Rizal Park. Ishmael told me that was the place where the famous August 2010 hostage incident that was beamed live worldwide took place - where Hong Kong tourists were taken hostage by a former national police officer. As I was crossing the road, I noticed this funny road name. 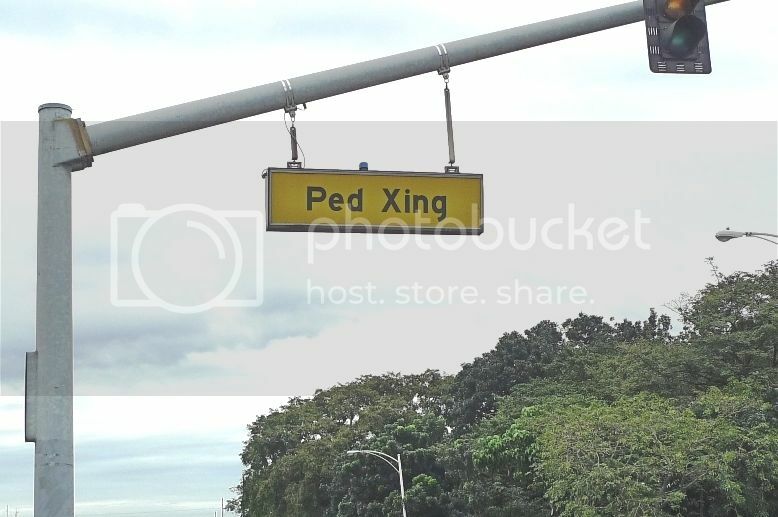 Ped Xing? It did not sound Filipino or Spanish but the word Xing sure sounded somewhat Chinese to me. What kind of name was that? To my amusement, Ishmael explained that Ped Xing is short for Pedestrian Crossing!! The alphabet X stands for cross!! Huh? Like this also can?! We actually did not walk all the way to the Quirino Grandstand as there was really nothing much to see. I however, just took a picture of that clock (above). After that, we proceeded to the LRT station to go to Quiapo for the balut and kwek kwek which I have blogged in the previous post. Now if you think balut and kwek kwek were the end of my Filipino foodie adventure, you are wrong. 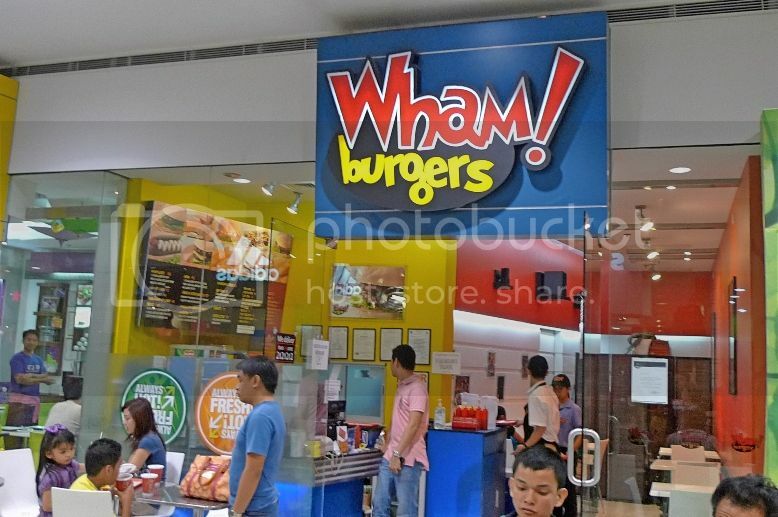 Ishmael brought me to SM North Edsa Mall to eat Wham! 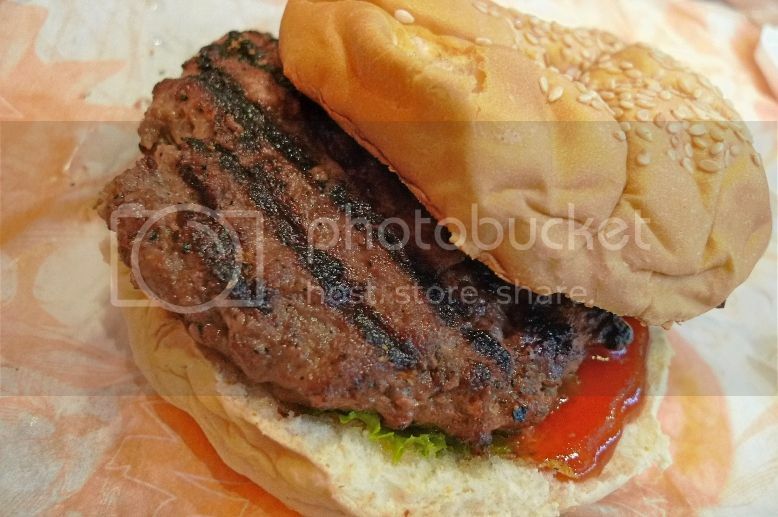 Burger next, which he said was even better than Jollibee burgers!! The above is the front entrance of the Wham! Burger restaurant. 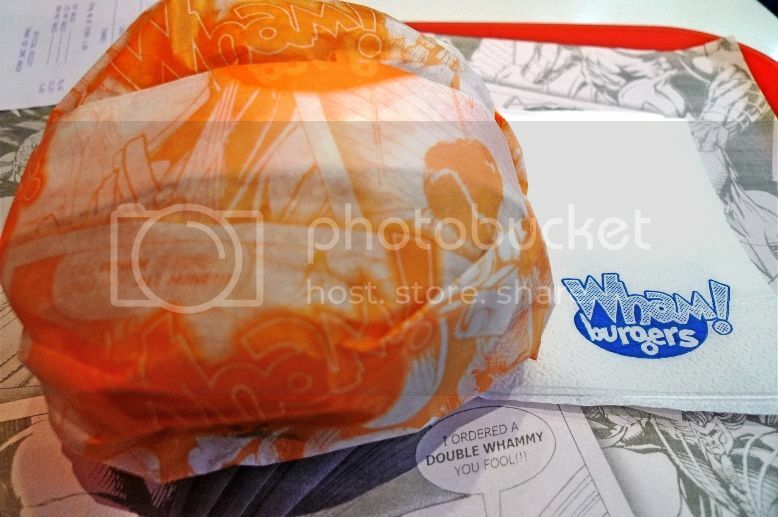 As we were both quite full after the buffet and the balut and kwek kwek, we decided to just buy one burger and share. 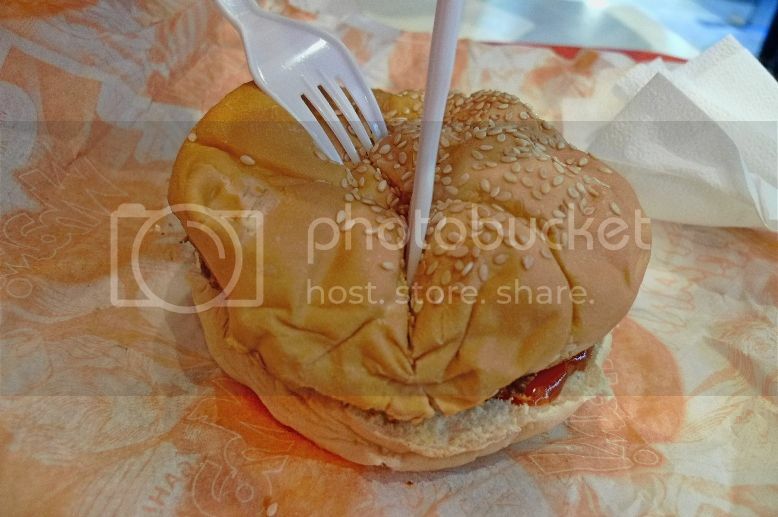 Look at the beef patty! Although looking slightly charred, I learnt that 100% real beef was used! In addition, they used fresh vegetables too. Ishmael cut the burger into half while I took the photo. The burger was juicy and delicious! 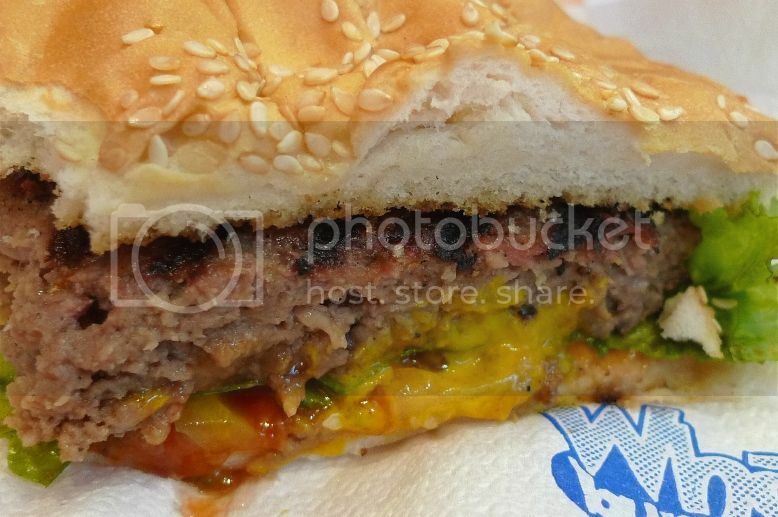 If I was not so full, I would have eaten the whole burger myself! After that, it was time for me and Ishmael to bid each other farewell. It had been a fun outing with him and I hope I will get to see him again if I visit Manila in future! The next day, it was time to go home. Truth be told, my 6 days, 5 nights in Manila seemed more like just 5 days to me. This was because on the 6th day, I had to wake up at 5am to check out of the hotel and take a taxi to the Pasay Bus Station, where I had to board the 6am bus to Clark International Airport. You see, there was only one AirAsia flight back to Malaysia and it was at 11am. Buses to the airport were scheduled to depart at either 6am or 10am. Since the bus would take about 1.5 hours to reach the airport, I had no choice but to take the 6am bus. What a waste of my last day!! In future, if I ever go to Manila, I would not fly with AirAsia unless they land at the Manila International Airport! With this, I am wrapping up my Manila travel posts. Farewell, Manila!! For those of you who have missed some of my Manila posts, here is the complete list. Coming Soon : My Very First Trip To Cambodia!